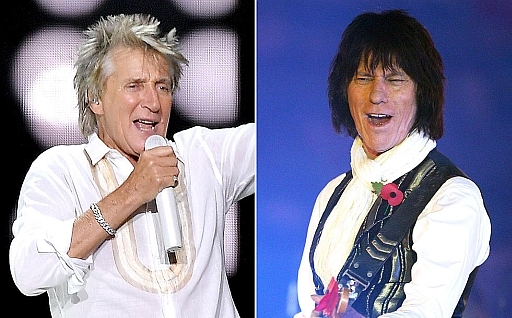 Rod Stewart and Jeff Beck are set to reunite later this year for a special concert in Los Angeles. It marks the first time the two musicians, who played together in The Jeff Beck Group, have shared the same stage in almost a decade. The two legends formed The Jeff Beck Group in 1967. The English rock outfit, which also included Ronnie Wood, went on to release a handful of albums before disbanding in the early ’70s. The former bandmates have re-teamed sporadically since then, but the last time they were spotted together was back in 2009, when Stewart dropped in on a Beck concert in LA; the pair performed their 1985 collaborative single “People Get Ready”.